As we move into the darker, colder seasons I’m able to focus more on indoor art projects. 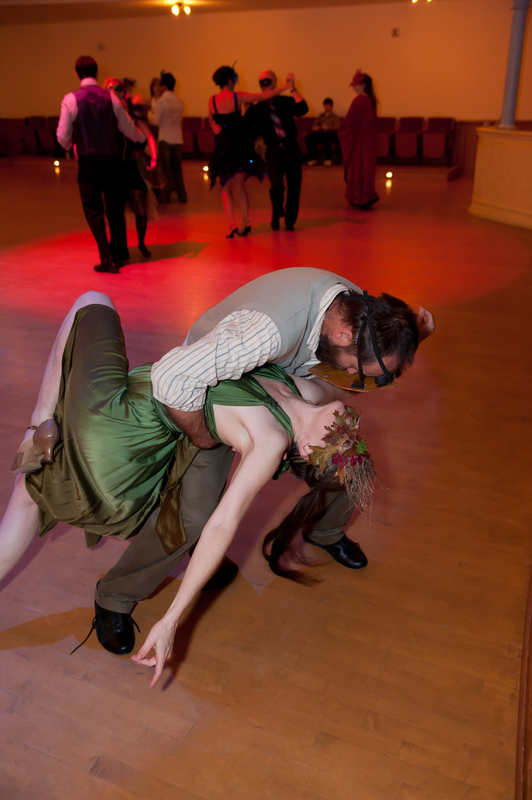 NMC Dance Club’s Masquerade Ball gave me the perfect opportunity to reawaken my visual-arts chops. The base of the mask is papier mache using Golden wheat paste and rice paper scraps. There are 3 layers of paper with lots of drying time in between. Here’s a tip: For expeditious drying, dry the mask in the food dehydrator checking frequently to make sure it still fits your face. 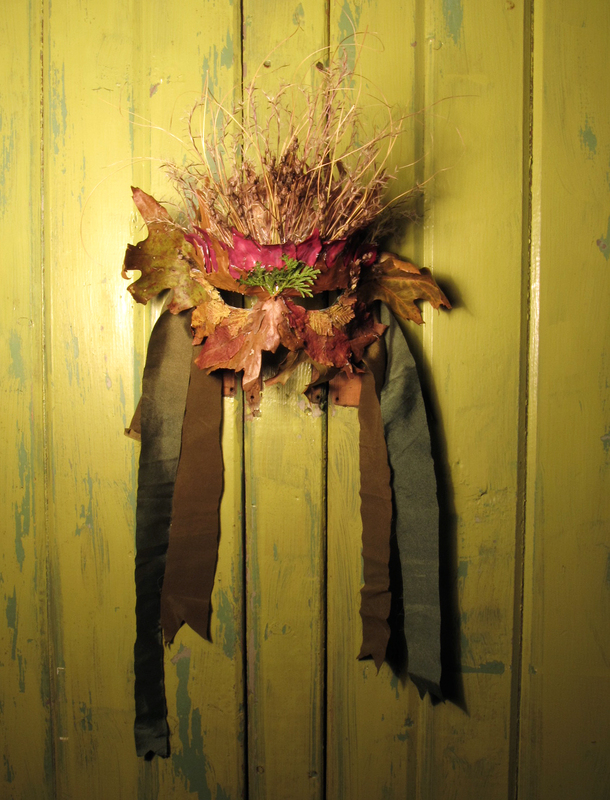 The remainder of the materials are few fabric scraps and leaves and grasses that I found outside my front door. Below is a photo taken by George Michaelson at the Traverse City Opera House with the mask in use and the convertible dress I made in February. This entry was posted in Clothing, creativity, Dancing, photography, technique and tagged art, Arts, Craft, Crafts, creativity, Dance, Dancing, Dress, Halloween, Holidays, Leaves, Nature, paper, Paper piecing, Papier mache, technique, Visual Arts. Bookmark the permalink. I love the way the mask turned out, Rebecca! Great idea to use strips leftover from the dress to match. Thanks, Lisa. The fabric is also stretch silk so it was comfortable and held the mask on really well.